In addition to lighting a candle it’d be good to put a little more into the setup. Get a pen and a pad of paper. Sit somewhere comfortable where you wont be disturbed as you are writing. Set an intention for your writing. And, if you’d like, call yourself forward into the light. Be aware that you are not giving yourself over to anything when you do free-from writing because you are in absolute control of what is happening. When you get through writing, do not read it over. Rip up what you have written and burn it. Never share what you write with anyone else. Start slowly, with say 10-20 minutes, but work up to writing for at least an hour. Two hours per session is optimal. Each person is different, but to notice some real changes I recommend a minimum of three times a week for a minimum of three months. With practice you can get to the point where you can do this in fifteen minutes, but it will probably take you a year or so to get to that point. After you have done free-form writing for any length of time you will start to get some beautiful, inspirational, wonderful prose which you will want to keep. And when you are through with your session you will forget where the beautiful writing was and will want to read through what you wrote to find it. Do not do this because the energy and negativity that you released onto the paper can return to you if you reread it. Instead, as you are writing, and thoughts are flowing through, take the pieces of paper on which you write the inspirational thoughts and set them aside, separate from the other writing. 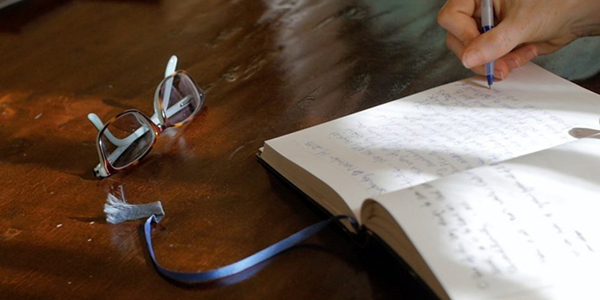 When you finish your session, rewrite the sections you want to keep in a special book. Then you can rip up and burn all the original pages. I was aware every day that I had not cleared it, so I just kept at it. And one day it went. I knew what it was when it released because of where it was expressing in my body. And I just smiled and got busy doing something else to distract my mind so I would not go back to see if I had really released it. There is something crazy about our human minds. We say, “But is it really gone?” And, in doing so, we bring it back. It’s as if we were to quit smoking, and then smoke another cigarette just to see if we really quit. Then we’re hooked again. My advice is that when you let anything go, don’t be concerned about it. Just let it go.